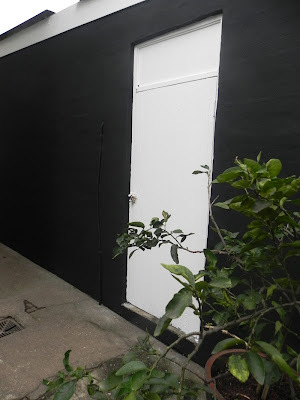 As part of our house makeover we wondered what to do with the side wall of the garage which the dogs love to loll against making a wonderfully filthy swatch of paint. We were going to paint a small side wall as a blackboard for Swan but Scott thought what the heck why not make the dirty wall a giant blackboard. Here is Swan's first drawing on the awesome wall, works as a beautiful contrast to our garden and the Baby Elephant shade on the other walls. 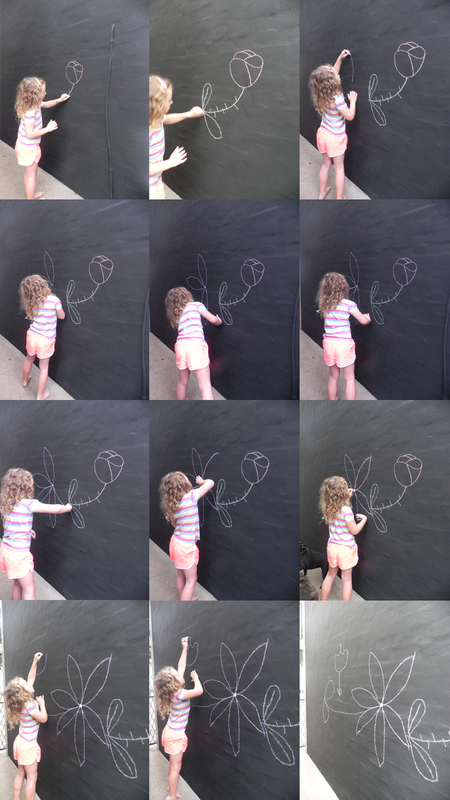 Definitely a budding artist in the making! lovely photos! stunning - she has her parent's talent, no doubt there!